After a long hiatus, we are finally back! Every Easter season I give up meat for Lent, and given that the great majority of my posts on this site are either some form of fried or smoked meat, it was pretty hard to keep coming up with material. HOWEVER, my favorite chocolate time of the year is Easter because in my opinion, Easter chocolates are the best! While I am a sucker for the mass consumption chocolates like Cadbury Creme Eggs or those little morsels of heaven the Mini Eggs I was pleasantly surprised to realize that Baltimore has it’s own arsenal of candy makers that specialize in celebrating the rise of Jesus with chocolate! Probably the most well known company is Mary Sue, whose chocolate eggs and Pecan Nougat Eggs flood all the local stores including Target and Mars. And while they are definitely delicious, they are met with equally delectable products from Glaubers, Naron and Wockenfuss. But perhaps my greatest find of the year (!) was Log Cabin Candies. I first heard of this company when my son’s school sent home a fundraising packet featuring their products. 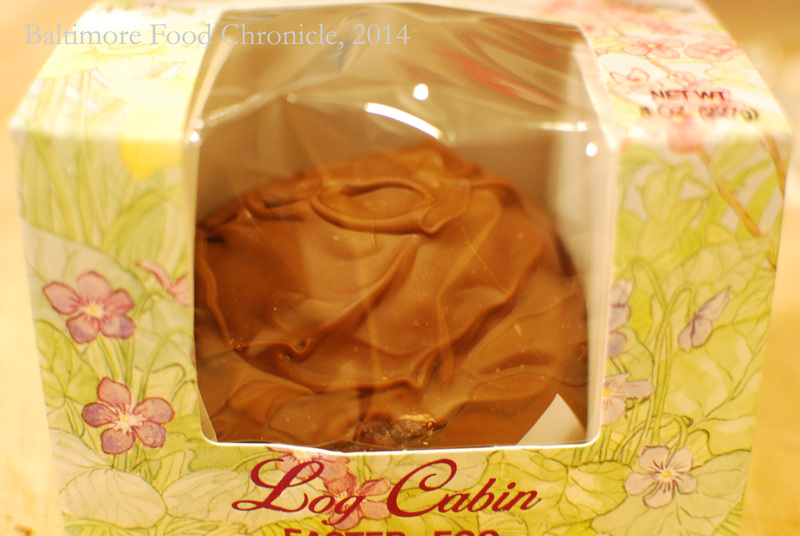 With the seemingly generic name “Log Cabin”, I didn’t think too much of it but wanted to support the school. 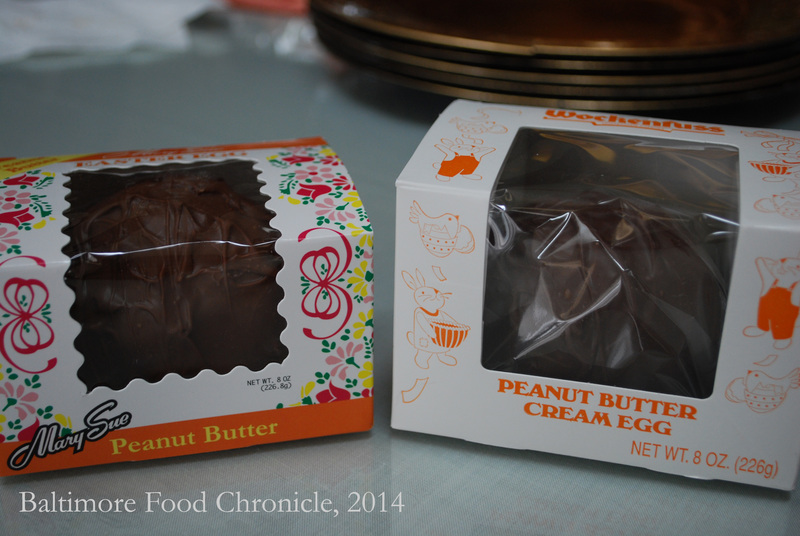 When we received our goodies, I bit into one of the coconut creme eggs and was blown away! 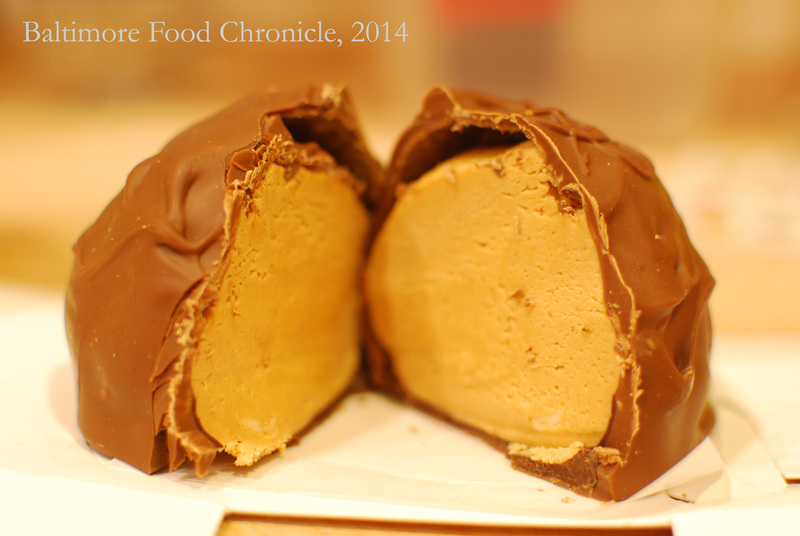 The chocolate was the perfect thickness and texture, not too thin but not overpowering. The coconut was sweet and sticky with flakes to compliment the smooth exterior shell. The chocolate fudge was smooth like butter and melted in my mouth into a waterfall of chocolate down my throat. 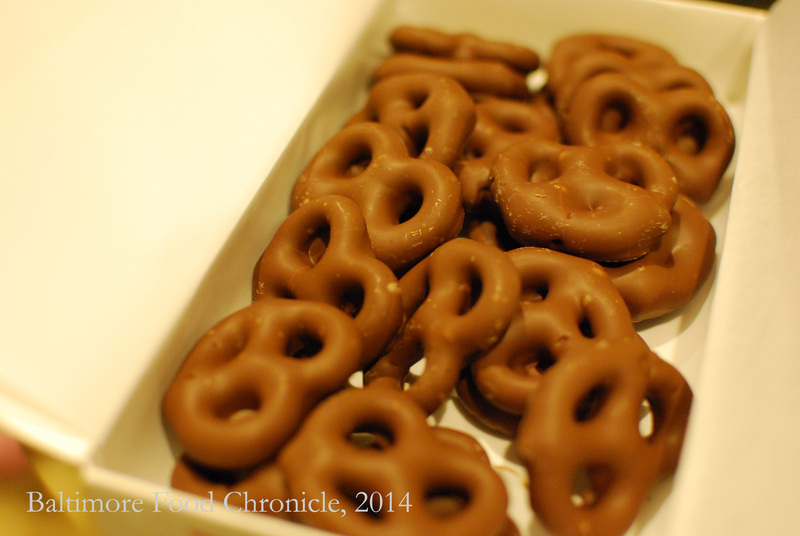 The chocolate pretzels were very chocolatey, and were exactly what I had hoped their Utz counterparts would be (but were disappointingly, not). I was in love. I have managed to track down their main location in Fallston and will be making a trek up there soon.